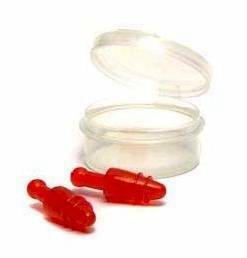 Radians Snug Plug Reusable Ear Plugs are super soft, durable and washable. Available in corded and uncorded, in poly bags or carry cases. Radians Snug Plug Reusable Ear Plugs With Carry Case (NRR 28)1ElaineOctober 12, 2013These ear plugs are pleasantly squishy, but they have an odd, greasy-feeling surface texture. I purchased two pairs in hopes that these would work well for sleeping and studying, but I found it impossible to get a decent seal in my smaller-than average ear canals. Occasionally I can get one properly seated, but it doesn't stay in place for more than a few minutes. I offered my extra pair to a friend, but they did not fit him either. Radians Snug Plug Reusable Ear Plugs With Carry Case (NRR 28)4KatFebruary 20, 2012Soft earplugs. They can be a little difficult to get in right, but once they are there, they do the job well. Radians Snug Plug Reusable Ear Plugs With Carry Case (NRR 28)2Bill HansonNovember 30, 2011For many people, these will be very comfortable as they are very soft and plyable. For me and my ears I can not use them as they have no stiff central post and I can't get them deep enough into my ears to use.